What is something you are thankful for or are celebrating? Read Luke 7:1-10. What does this passage seem to be saying about the character and priorities of Jesus? Is there anything in this passage that challenges you to do something or change something to be more like Jesus? Why did the Jewish elders think the centurion was worthy of having Jesus do him a favor? Why do you think the centurion felt he was unworthy of having Jesus come to his house? What does it mean to be a person “under” authority? What authority is the Centurion operating under? What authority is Jesus operating under? What insight, if any, does this passage provide concerning the authority you are operating under? Read Luke 7:11-17. What does this passage seem to be saying about the character and priorities of Jesus? Is there anything in this passage that challenges you to do something or change something to be more like Jesus? 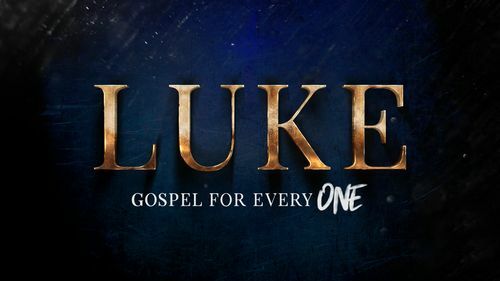 What do you think Luke is trying to teach his readers by including this event from Jesus’s life? Read Luke 7:18-35. What does this passage seem to be saying about the character and priorities of Jesus? Is there anything in this passage that challenges you to do something or change something to be more like Jesus? Have you ever had a time where you needed to address or manage people’s expectations of you? Why did John send his disciples to Jesus? What was it about the message or methods of Jesus’s ministry that might have made John question whether Jesus was the Messiah? Why do you think Jesus said “blessed is the one who is not offended by me?” Have you ever been offended by something Jesus did or failed to do? Read Luke 7:36-50. What does this story seem to be saying about the character and priorities of Jesus? Is there anything in this passage that challenges you to do something or change something to be more like Jesus? Is the intensity of your love for Jesus more like Simon’s or the woman’s?